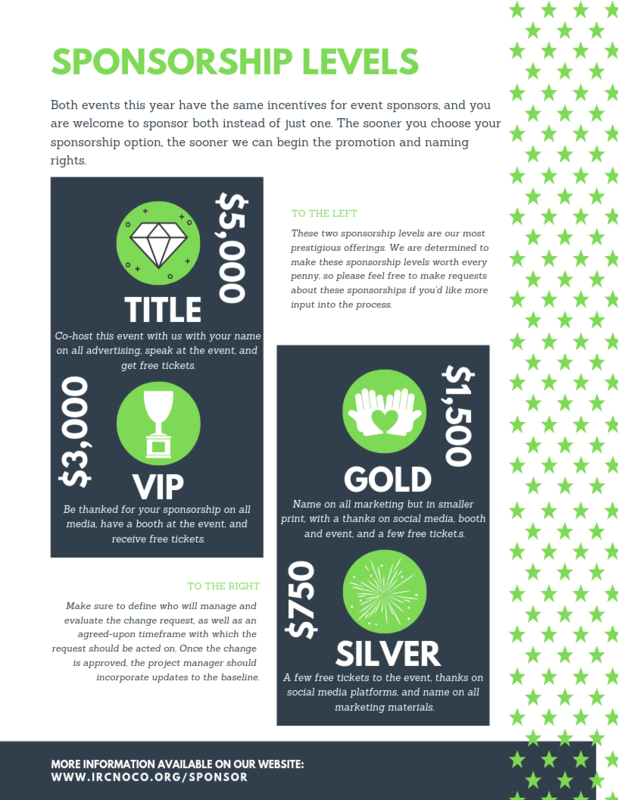 Becoming an event sponsor has a lot of perks, and we hope your company or organization will be eager to join us! If you see a sponsorship level that stands out to you most, take the next step of securing your place by emailing Collin for further details. Once payment is received, your seats will be confirmed, and you will see all of your promotions going up in the following 24-hours. 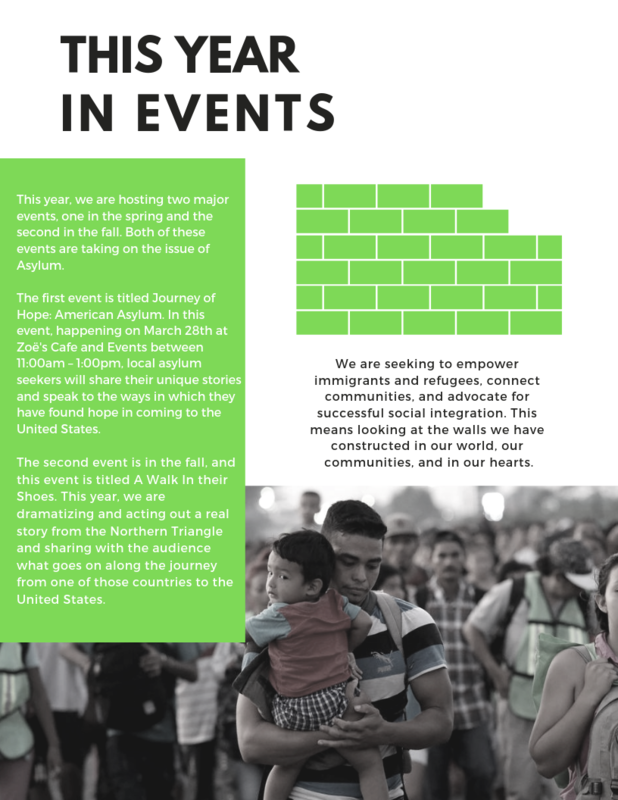 Email Collin by clicking here, or emailing collin@ircnoco.org with the subject line "Journey of Hope Sponsorship — (Level of sponsorship chosen)"
Sponsoring classes at the Immigrant and Refugee Center is another option, for those groups who feel as though they want to make their mark for our students throughout the academic year. To sponsor a class, check out the general sponsorship guideline packet below. You may download it as a PDF, if you’d prefer, or you may scroll through the pages found below.